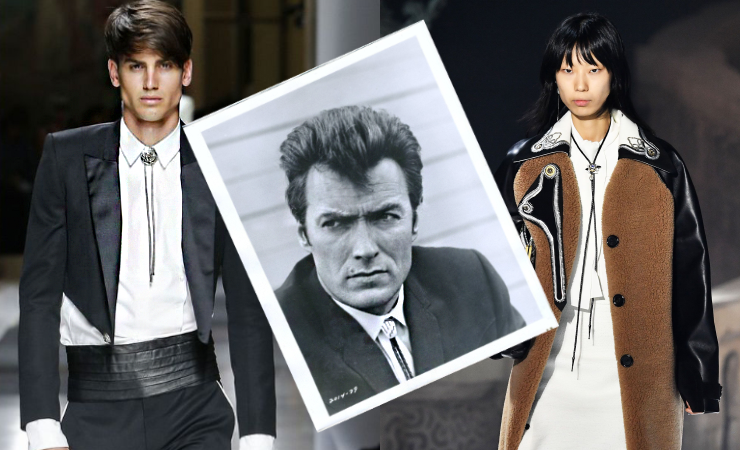 Bolo tie – a unique type of a men’s tie which consists of two braided cords tied and buckled to the collar. 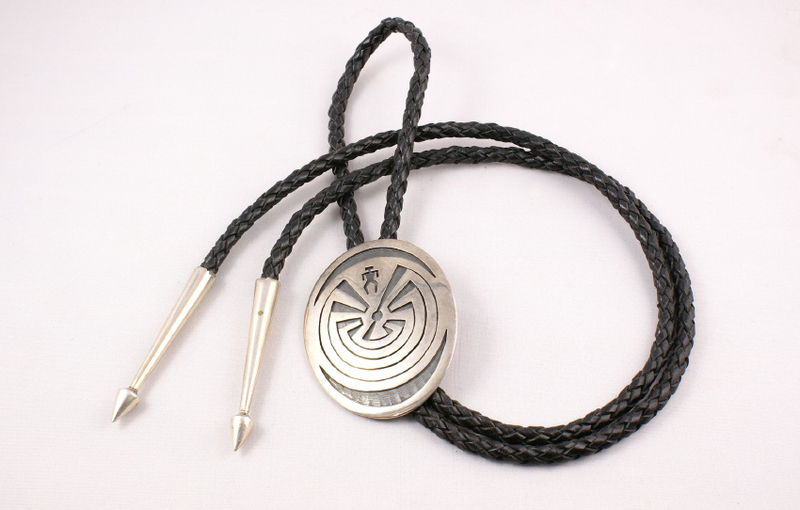 One of the popular legends of the bolo tie invention is the story about Victor Emanuel Cedarstaff. So the story goes, Cedarstaff, and some buddies were chasing wild horses across the sparse desert one day. The hunt was fierce, and in the fray, Victor’s ornate silver bordered hatband slipped off, taking his hat along with it. Wheeling his horse around, and retrieving his hat, he slipped around his neck for safe keeping, and went about his business. Noticing Cedarstaff’s new ‘look’, his friends jokingly complimented him on his new tie. But, the idea stuck, and inspired by the incident, Cedarstaff decided to create his own line of ties made of braided strips of leather, and capped with silver tips to prevent fraying. Finished with the creating part, Victor dubbed his invention the bola tie after the ‘boleadoras’ cords worn by Argentine cowboys, and applied for a patent.